Hello there, today is the last day for the Purple Onion Designs Holiday Sale so I am here to share one last card as part of me guest designing for them. 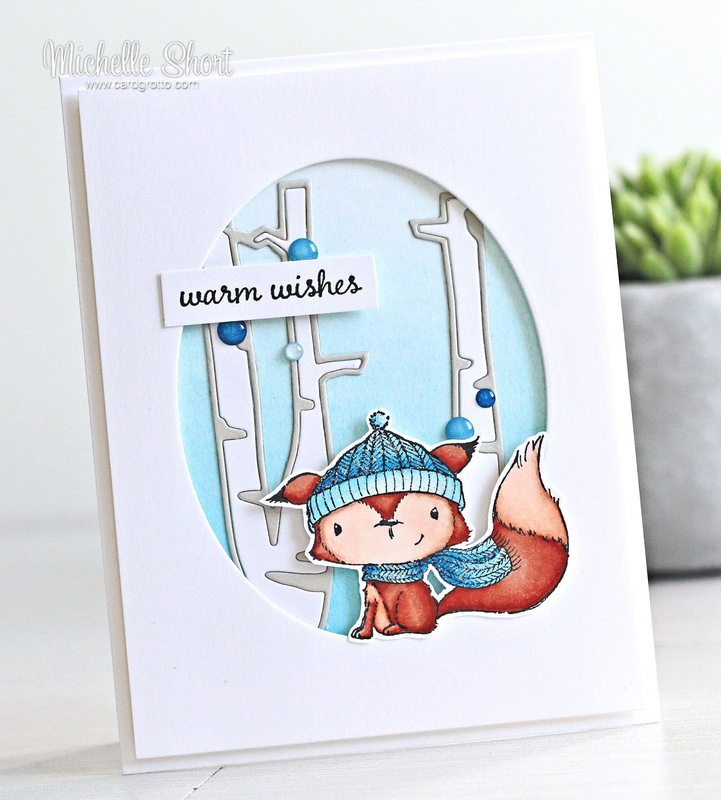 Today I am using the super cute Cedar for a winter card. I started off by stamping Cedar, colouring him in using Copic Markers and cutting him out. I then took a panel of white cardstock and die cut an oval from it. 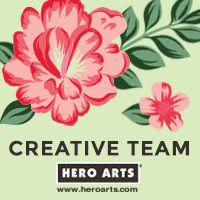 I took a white A2 card base and masked off the edges with post it tape. I then applied TH Distress Inks to the centre using a stencil brush. I used (bottom to top) Salty Ocean, Mermaid Lagoon, Broken China and Tumbled Glass. I ran the Paper Smooches Birch Tree die through my Cuttlebug twice, once using white cardstock and once with Fog cardstock. These were added to the card base and then the oval panel added on top with foam tape. Cedar was also added with foam tape. The sentiment, from the Sweet Occasions stamp set, was stamped on to white cardstock and cut out. This was added to the card with foam tape on the right hand side. To finish off, I added Doodlebug Glitter Sprinkles plus Star Dust Stickles to Cedar's hat and scarf. COPIC MARKERS: Fox - E09, E08, E13, E11, E00, E50. Scarf & Hat - B06, B05, B04, B02, B00, B000. I hope you have enjoyed seeing my Purple Onion Designs creations over the last month. 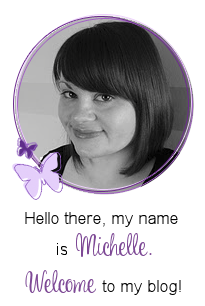 I will continue to share more but I would like to say a huge thank you to Purple Onion Designs and their team for having me guest with them. Thanks so much for visiting me today. I hope you have a great day! 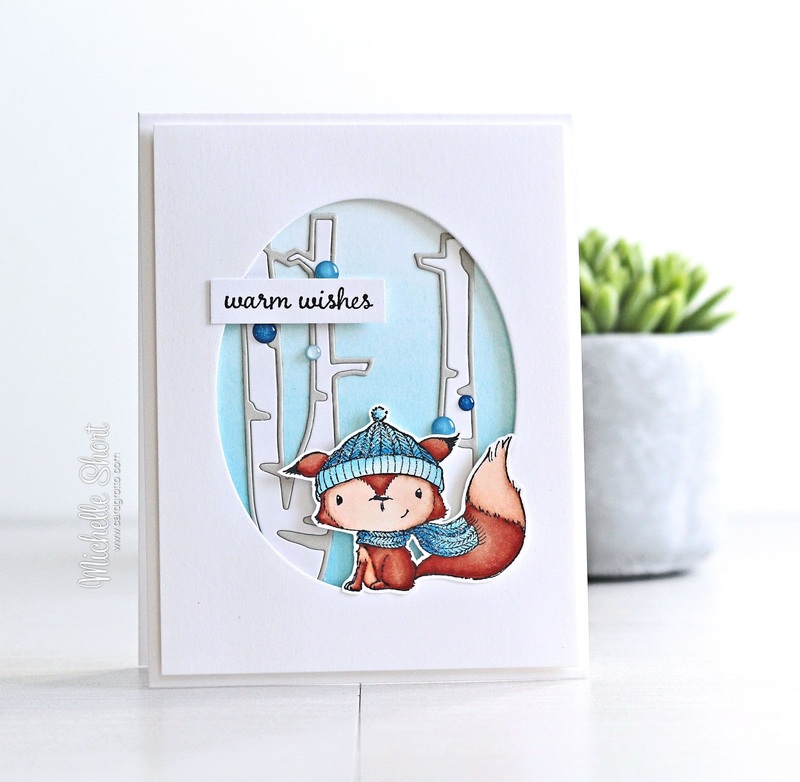 Wow, another adorable card using Purple Onion Designs! Beautiful coloring! That is so cute!! I love your coloring and those birch trees in the background - just the right touch! I am glad I came over to see this after seeing it on IG. It is so gorgeous! You can see the details so much more on here. Love Cedar... and I am going to have to get those dies, they look so great in two colours! Did you use a clarity brush for the blending? They are on my list as I love the soft look you can get with them. Lovely, lovely card Michelle.